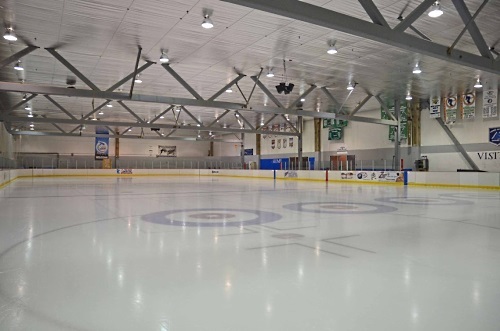 Located within the Factory Shopping complex on South Main St. in Wake Forest NC, The Polar Ice House offers two NHL regulation ice rinks with all the bells and whistles. Our rinks are complete with light and sound systems for exciting Public Skate sessions, Open Hockey, League play, and flexible Freestyle figure skating sessions. We also offer year-round track-out and summer camp programs focused on athletic activities and child development in a peer group atmosphere. Conveniently located in The Factory of Wake Forest, MVP Sports Factory provides recreational and competitive opportunities for all ages, as well as child development programs. Our facility contains two basketball courts, a volleyball court, a multi-purpose turf room, and an incredible indoor soccer field. It is the home of Turf Tikes, Soccer Rockers, Dunkaroos, Quickstart Tennis, and Blastball programs.